​​​​​It’s calculated by your payment history, the amount you owe, the length of your credit, what new credit you have applied for, and the type of trade lines you have. Your paying habits are 35 % of your credit score. If your late payments are recent, it will lower your score more than if you were behind in the past. In addition, a 90-day-late indication will severely damage your score over a 30-day mark. In addition, public records like tax liens, judgments, and bankruptcies fall into the same category and could take your score down even further, so make sure you are current with your creditors and always pay your bills on time. The balance on your accounts is 30% of your available credit score. 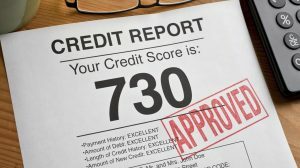 So, using all of your credit will worry lenders and hurt your score. The lower your balance is, the better your score. You want to keep your balances around 10% for each account. Also, if you make a big purchase and want to maintain the 10% balance level, make sure you pay off your purchased item before your bill cycles. If you pay after the cycle, the lender will report your high balance. The amount of time you’ve had your credit makes up 15% of your credit score. The age on your trade lines is very important to lenders because it shows that you have paid your bills on time. Reliability and longevity are good traits for additional credit, so don’t close old accounts. If you have too many accounts and you want to close a few, close the accounts that are new with low limits. New credit makes up 10% of your score. The FICO® model looks at how many accounts you’ve applied for lately as well as any fresh accounts you have opened. The model looks at time passed since you requested new credit, and the amount of time since you opened another account. If you open too many accounts in a short period of time, you will look desperate to lenders, and they don’t like loaning money to needy customers. So, try not to apply for more than two new accounts per year.